I love nice people. And trust me, I know how ridiculous that sounds. But the people that are truly, sincerely nice down to their very cores, the people that give you compliments, make you smile, make your day brighter and put a little skip in your step...those people. It's my goal to be one. I hope people think I am. I saw this quote and it reminds me of the people in my life who go out of their way to make my day. 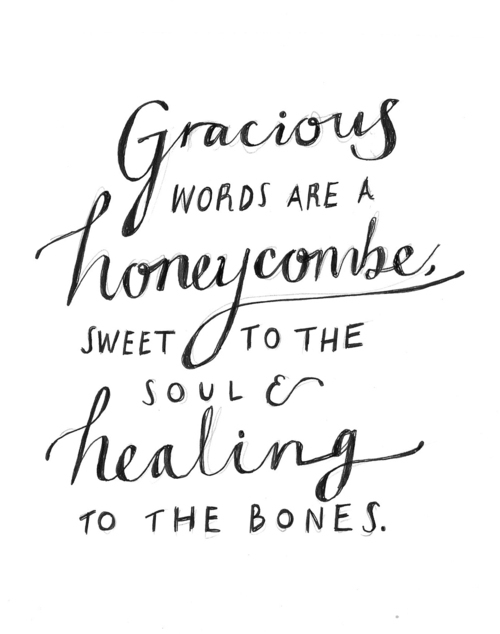 Whether it's a quick text message, a hand-written letter or an unexpected compliment, I think we all know someone like this who gives you those gracious words right when you need them. I like this quote. It inspires me. And I hope it inspires you.